You know that feeling when you have been talking with someone for quite some time and already you’ve mapped out your entire life together, and then now finally, you guys are going on a date for the first time? That marriage of inexplicable excitement and utter sense of dread (because what if the person doesn’t think you’re cute in person), that makes you wanna pee, and makes you not want to eat? That’s the kind of feeling that I had when I found out that we would be entering two horror mazes at the Universal Studios Japan. And that was just the tip of the iceberg. This year, USJ has prepared the most amazing Halloween experience for their guests and today I will walk you through some of the best scary attractions that they have. Are you ready to step into a nightmare? The Halloween Horror Nights have three sections: Horror Maze, The Curse Attraction, and Horror Area. These attractions were also ranked based on horror levels, 1 being the least scary and 10 as the most horrifying. I have a vague recollection of watching The Exorcist, including sleeping halfway through it. For a horror flick, it had too many dialogues and dragging scenes, which would be my excuse for snoozing. 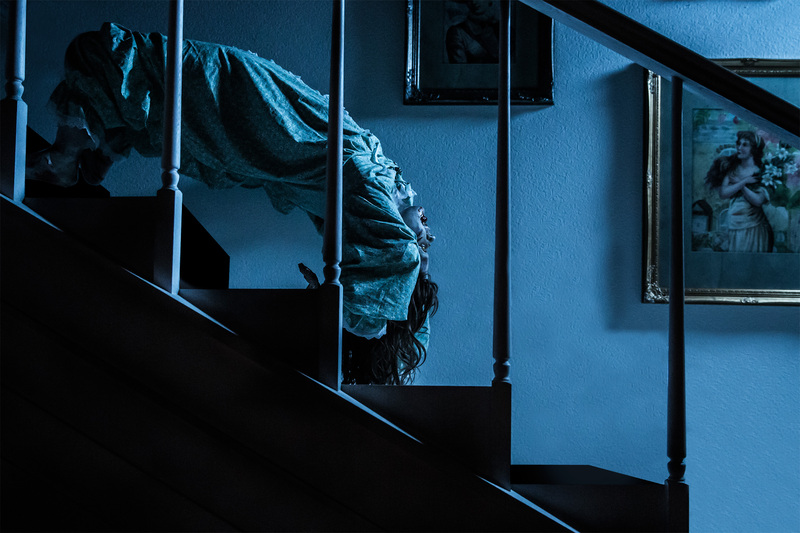 But this movie is a cult classic and I won’t deny how creepy Linda Blair looked when her character named, Regan, was being possessed by a demon. My favorite part was the recreation of the infamous spider-walk scene (refer to the photo above). Not sure how they did it, but it was mind-blowing. My least favorite part is when an actor dressed as Regan followed us down the hall. It was creepy to look back and see that she was still in pursuit. The Exorcist is Level 4 in the horror meter. I thought it was also patterned from a movie, but Tatari, the Japanese horror house was specially made for USJ’s Halloween this year. 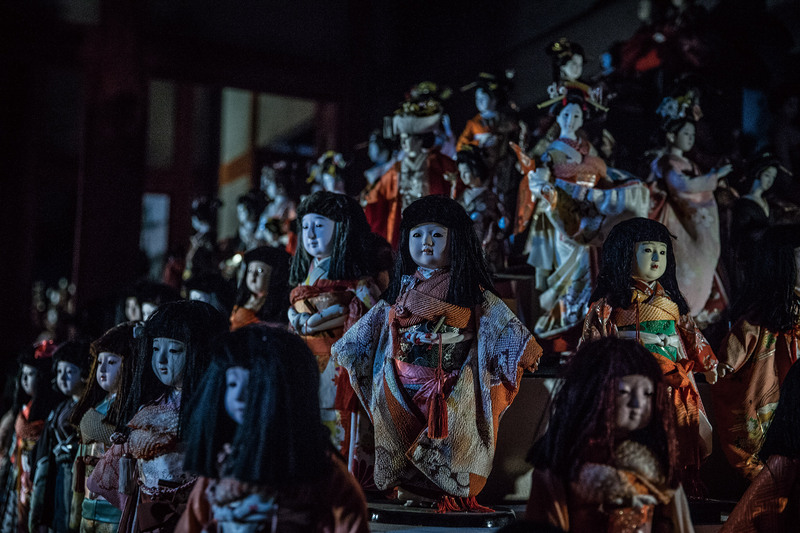 In Japan, there is a festival called, Hinamatsuri, also known as Doll’s Day or Girls’ Day. There is a superstition belief in Japan that pertains to dolls having souls and they have the power to influence the lives of people. So the Japanese do not just throw away their dolls, they leave them in shrines during the festival. One of the shrines that take these dolls is the Awashima jinja in Wakama. I mention this because the dolls used in the Tatari horror maze were loaned by Awashima. I thought it was dark at The Exorcist until we entered Tatari. Again, we held onto a rope as we walked through the house. It was so dark I half-feared someone would just grab me from the darkness, if that happened I’m not sure what I would have done (though kicking the source of horror came to mind). The dolls were indeed creepy and if you have an imagination as active as mine, you would definitely feel like they were watching you. There was a scene where a crazed woman approached us, speaking in fast Nihongo. If it weren’t for our guide who translated to us, this part wouldn’t make sense at all. Apparently, the woman was giving us a warning of the horror that lies ahead. Now that I mentioned it, the attractions at USJ are all in Japanese, notwithstanding the fact they have foreign visitors. My favorite part was entering a room where we saw a shadow of a samurai-wielding figure through the room divider (Shōji). The anticipation on what this shadow would do gave us thrill like no other. It was just like on movies where the character hopelessly awaits his fate in complete terror. The Tatari tour is a lot shorter than The Exorcist, nevertheless, the creepy factor was more intense than the latter. Tatari is level 5 in the horror meter. If it were up to me, I would have entered all of the horror mazes, but we didn’t have all the time in the world so we could only fit two in our itinerary. The other horror mazes to choose from are Trauma 2: The Experimental Hospital Ward of Horror (Horror Level 10); A Nightmare on Elm Street the Maze 2 (Horror Level 4); and Chucky’s Horror Factory 3 (Horror Level 4). The Curse Attraction was not included in our itinerary so I have little idea on what you could expect from this. There are 2 attractions here, Sadako (Horror Level 1) and Gakkō no Kaidan (Horror Level 2), both were inspired by Japanese horror films. In the Terminator 2 3D attraction, for example, the eerie Sadako video as shown in the movie, The Ring, suddenly comes on the screen. The Horror Area is an interactive horror experience where you are chased by ghosts and zombies. 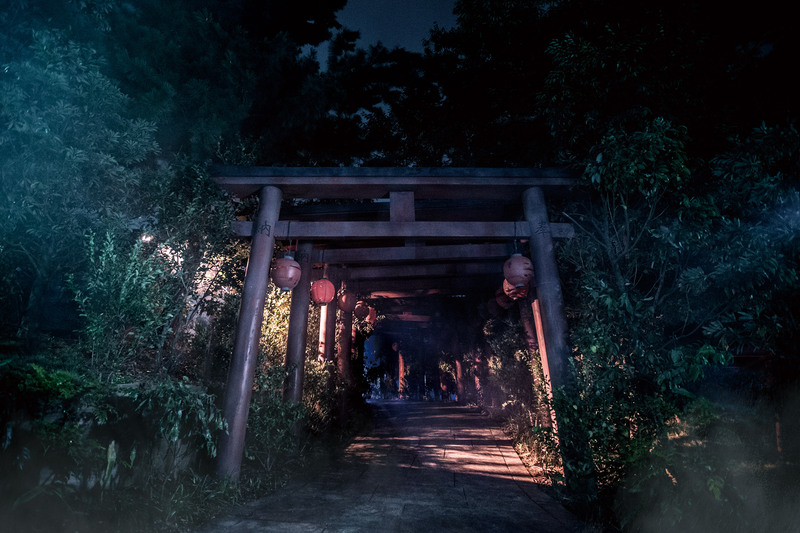 The J-Horror area can be found after a short walk under the torii gates. It opens to a clearing, barely lit and eerie. Terror is brought upon by the Japanese ghosts garbed in white masks and traditional clothing, who either remain on their designated spots and jump to the passersby or walk around aimlessly. The Walking Dead, Resident Evil, World War Z, Zombieland, name it, I’ve seen it. Given this weird fascination to the undead, it follows that I’d enjoy seeing the zombies prowling on the street, snarling and chasing people, sometimes stopping to do a dance intermission to the tune of Thriller. There are chainsaw-wielding zombies, giant zombie, zombies with dolls, zombies eating the insides of his victim, among others. The zombies were so into characters, people had fun screaming and running away from them. It had been a long day, my feet were killing me, and my energy was at the all-time low when it was time for us to go home. I walked listlessly, my eyes set on the destination, face wearing zero expression. Maybe the zombies noticed my exhaustion because for some reason they didn’t bother me even when I walked past them. All the excitements of the day have taken a toll, but it’s a good thing because USJ delivered one of the best Halloween spectacles I have ever experienced in my life. You too have a chance to experience this. USJ’s Halloween extravaganza runs until November 6.
i went for USS (singapore) Horror Nights last year and I feel USJ has done it better, with adaptation from famous horror movies! USS has a no touch policy (sounds like USJ has it too) so it really cuts down the fear factor. time is an issue for horror nights too, because the time we’re given is significantly shorter than it would have been in the day (USS closes at 1230am or so and horror nights only starts at 7pm) and it’s impossible to cover all the attractions, given the crazy queue. Some attraction might need 2 hrs to get in! Really? It only starts at 7PM? That’s crazy! At USJ, only the zombies come out at night but the rest of the horror attractions are already opened even at daytime. I used to be a cold hearted horror buff in my college days, somehow age has grown on me… hahaha… I have never been to any of the Universal Studios till date, but I really want to… weren’t you scared? Amazing Halloween experience no doubt! Hi Sriparna. I was waiting to be scared but it didn’t really happen haha.. I am a sucker for these things. I don’t get easily scared, I think it’s fun! 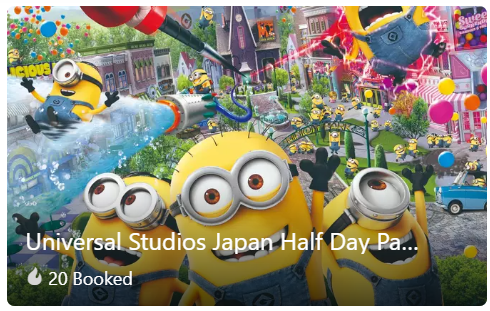 I’ve never been to Universal Studios in Japan but knowing the Japanese, I’m sure everything will look realistic and extremely terrifying! I would be too scared to go in any of the attractions though! Oh yes Nadine. The Japanese are sure good at it, which made this trip to the USJ all the more exciting. Wow, I’ve spent my Halloween at Disneyland in Hong Kong recently and I don’t find there Halloween themed scary at all even their horror house. Anyhow, this post is a must try and a total sense of Halloween is there. I would love to see this as well soon. 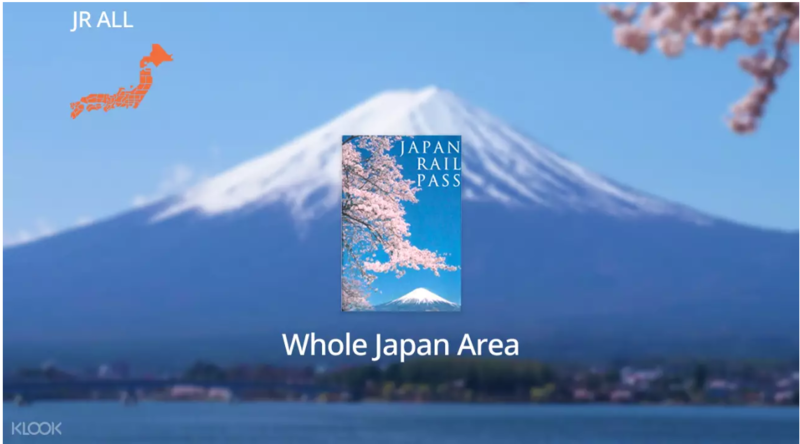 I haven’t been to Japan yet and this will surely be penned on my bucket list. I miss Universal Studios Japan even though the attractions are in Japanese. As we still have a valid Japan visa, I’ll try to convince my bf/co-blogger to return to Japan on a halloween season next year. Hopefully, he says yes. I’ve always wanted to try the halloween horror nights. I want to see if I’ll scream and be creeped out. Omyyy. I don’t think i could bring myself to go hereee. Im just to scared hehe. Looks like quite an adventure though. I’m not into horror or scary stuff so thanks for sharing this post. Now I know, that I will not visit USJ during Halloween season. USJ is still on my bucket list, I hope we can revisit Japan soon. Oh no! That’s not my intention hahaha… It would be great if you could give it a try. It’s fun, I swear! I now it was just how I felt when I first decided with dread to go to the Night of Frights here at Sunway Lagoon for the first time a couple of years ago, but now I am more or less expectant, know what to expect and be more wary however sometimes the unexpected and normal can spook us more then those in a makeup can… hahahahah… believe me.. twice in these places, it wasn’t those in the scary make up that scared me, rather those who were not quite in make up…. Oh yes, I like how the mood and the setting made me feel for a moment that everything was real. It added thrill to be honest. I don’t know if I would be able to do this! I am so afraid of little things but it i such a once in a lifetime mysterious experience I would just have to jump over my shadow and do it. I would stick to being in the middle. This is doable, but yeah, if you are too scared go to the middle part of the rope. This sounds scary and interesting. The cult horror movie Exorcist is one I rate quite high. So for me that one on the top would be The Exorcist house followed by Tatari. I would need to decide whether to take the rear end of the rope or the front end or a safe centre. If you are brave enough take the front end of the rope! So damn exciting. I’d go on talking about this experience for days after. The Exorcist horror house would be the most interesting one for me. Great post for the Halloween mood. Thanks Johann. It’s one of the things that I love doing right now, telling the experience to my friends. Loved that you had a good time in Japan, Marge! You see, life is really full of surprises. Know that I am super proud of you! And it’s all because of you! Thank you and love you to bits! I hate scary movies so this place sounds like an absolute nightmare to me haha I am sure lots of people would enjoy it though. Everything looks so life like! Now that you mentioned it, yes they do. The props inside The Exorcist does look like the possessed girl in the movie. I don’t think I would have the courage to enter this maze, sleeping after this experience would’ve been a nightmare I’m guessing. Great pictures though and a perfect Halloween post! You are brave. I don’t think I can stand at the rope tail end either. I have seen parts of the movie and that was enough. 🙂 Great captures of the horror characters. 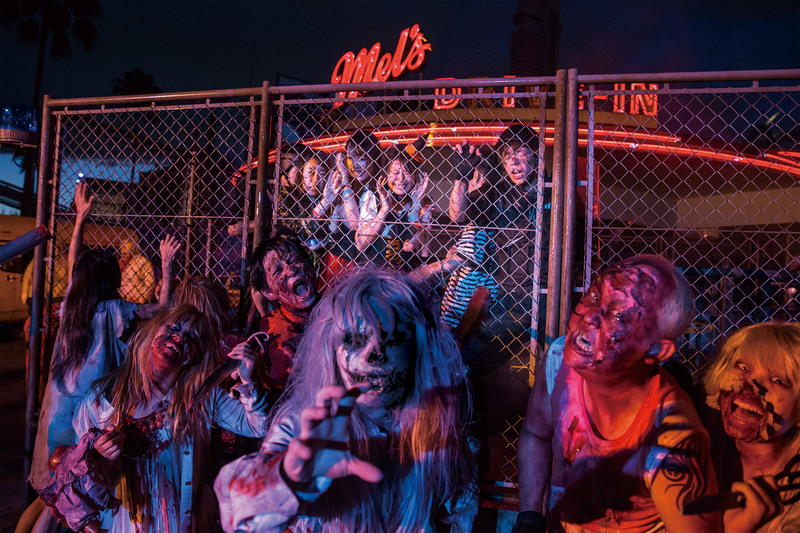 This Horror Night at Universal sounds genuinely thrilling yet scary! I was back home in Australia or in the Asia region, I would seriously consider a short holiday just to visit but unfortunately I’m on the other side of the world. Do you have any plans for Halloween? 4 days to go! Wow that seems so great specially he maze is something i love the most. It something everyone should give a sure shot try. Oh yes, that maze is a whole lot of fun! Oh my that must have been real scary, I’d panic too if it happened to me. Glad you’re okay. This is so for you! I don’t think I can even enter those mazes. Even if you bribed me. Hahaha. I’d rather stay at the Harry Potter area. I’m such a scaredy cat! Hahaha… Don’t knock it til you try it! Well, I’ve been married for over 10 years so I think I can remember what that feeling is like. LOL It sounds like a horrifying yet great experience!